Looking for a great deal when buying a van? Here at George Thelwell we have a range of vans for sale available in North Wales and surrounding areas. Buying a van can be a daunting task whether it’s your first-time purchase or not. But you have no need to worry. At George Thelwell we have over 20 years of experience and a professional team happy to help you through the process. All our vans are sold to you at competitive prices so you can get a great deal. 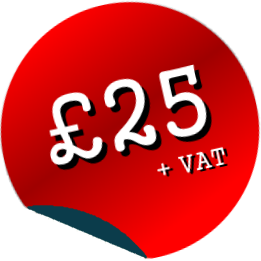 If you are in need of a number of vans for your business we can offer a discount on the overall price. All our vans are road ready and come with full manufacturers warranty. We offer part exchange deals, and whether you are buying one or a number of our vans we can provide them on finance. For a full list of our vans for sale please feel free to give us a call or visit our Ebay Showroom. Alternatively you could come down and visit us at our site in Flintshire, North Wales. Here you can meet a member of our experienced team who are more than happy to help find the right van for the job you need. When buying a van the main thing you need to consider is that you get a van that fits the purpose you need it for. If you need to transport larger goods, materials and equipment then a Vauxhall Vivaro (SWB, LWB,), Movano (MWB, LWB, Dropside and Tipper), Peugeot Expert, Boxer (SWB, MWB, LWB, Dropside and Tipper), Renault Master (MWB, LWB, Dropside and Tipper), Trafic (SWB, LWB,), Citroen Dispatch, Relay (SWB, MWB, LWB, Dropside and Tipper), LVD Maxus (SWB, LWB, Dropside and Tipper) or Convoy (Dropside and Tipper) would be suitable for your requirements. However if you need a van for smaller goods and tools then a Vauxhall Combo, Astra van, Peugeot partner, Renault Kangoo or Citroen Berlingo van would be better suited for your need. George Thelwell have a team of experienced staff to aid you through the van purchasing process and we will make sure we get the right van for you. As an alternative to purchasing a van George Thelwell also offer van hire throughout North Wales.